U can Do Yoga™, UDYoga, is Universal Design for Yoga! U CAN DO YOGA™ = UNIVERSAL DESIGN FOR YOGA: AN APPROACH THAT MAKES YOGA AVAILABLE TO EVERYONE, PERIOD. UDyoga™ = Universal Design for Yoga: an approach that makes yoga available to everyone, period. Ourconcept looks at physical studio space, emotional environment, instructor attitudes and teaching techniques. UDyoga promotes the idea that "if you have a mind and you have a body, U can Do YOGA™." Natasha Baebler, the founder of UDyoga, is an individual with multiple disabilities, a Rehabilitation Counselor, and Registered Yoga Teacher with Yoga Alliance. Through her practice, Natasha recognized barriers to full access. First physical, and later instructional. Teacher training programs discuss welcoming all students into class. Yet, few teachers are equipped with the skills necessary to provide a full yogic experience to all students. UDyoga advocates for all students of yoga regardless of what they bring to the mat. A student who uses a wheelchair should be able to have a full personal yoga experience in the same studio, the same class, and with the same teacher as a student who can sustain a complicated balancing pose. UDyoga is about opening yoga to anyone who wants to experience its benefits. This means braking down physical barriers and ensuring Yoga is offered in physically accessible spaces, opening minds and providing tools for yoga teachers to work with any student who enters their class, and helping students recognize that they want to experience yoga, there is a teacher willing to teach them. UDY™, Universal Design for Yoga, is our approach that makes yoga available to everyone, period. The concept looks at physical studio space, emotional environment, instructor attitudes and teaching techniques. UDyoga promotes the idea that "if you have a mind and you have a body, you CAN do yoga." Natasha Baebler, the founder of UDyoga, is an individual with multiple disabilities, Rehabilitation Counselor, and Registered Yoga Teacher with Yoga Alliance. Through her practice, Natasha recognized barriers to full access. First physical, and later instructional. Teacher training programs discuss welcoming all students into class. Yet, few teachers are equips with the skills necessary to provide a full yogic experience to all students. Visit the Teaching Schedule page for days, times, and class descriptions. Studio Accessibility: Sweet Peace Yoga’s studio is on the second floor requiring students to climb one turning flight of stairs. UDyoga has 2 practice spaces one of which requires a short straight flight of stairs. All studios have space to accommodate a service dog. Does your company or organization have five or more people interested in practicing yoga? Does your office have a conference room, hallway or other space where five or more people can move freely without being disturbed? Then let UDYoga bring yoga to you! We can hold a corporate class for as few as five people on site at a time that is convenient for your group. Classes can be held as early as 6:00am, as late as 8:00pm and anywhere in-between. The ideal class is 60-minutes (1 hour), and classes can also be 30, 45, 75 or even 90 minutes! A commitment to one class a week will provide optimal routine to build muscle and brain memory. Corporate pricing is available for monthly classes as well (specific conditions apply). Are you looking for something unique for your next corporate retreat, social event, or team building event? Why not try a corporate yoga workshop? Benefits: Bringing yoga to your business can be fun, healthy and relaxing, yes, but it can also help your employees become less stressed, more productive, and function as a stronger team. Pricing: Corporate yoga prices are based on the number of students in the group and location the class is to be held. The cost may be as low as $5 a student!! We now offer small group open classes in the UDY studio! Classes can have up to five students and are scheduled at mutually agreeable times. Group classes may have students of varying ability levels and accommodations will be made for any student as needed. You must pre-register/schedule group classes and pay in advance. Private/Semi-Private classes can be held in your space or in our private studio. *Financial assistance is available for students who qualify. 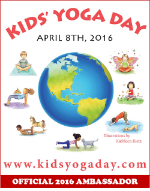 Kidding Around Yoga™ for ages 5-12 and Pre-Kidding Around Yoga™ for ages 0-4. Kidding Around Yoga™ is a style of Yoga that was created by Haris Lender, ERYT 500. KAY encompasses the 5 branches of yoga in a clear engaging method. A typical KAY class gets the children, singing, dancing, skipping, marching, jogging, laughing, hopping, limbo-ing, and storytelling ALL while practicing Yoga to the original KAY music. It is SO much fun your kids will LOVE it! More information about Kidding Around Yoga can be found at www.kiddingaroundYoga.com. See the Teaching Schedule Page for UDY's mixed abilities classes in the KAY style. One of the best ways to deal with life’s little, and big, stresses is to be mindful about your thoughts and actions. Let a Yogapath coach help you learn to use mindfulness to transform how you think, work, and move through life. More details to come! In the meantime, contact us and we’d be happy to answer any questions and see if Mindfulness training is right for you. U can Do Yoga™ is Yoga is for Every Body. We use our approach, UDYoga™, by leveraging the principles of universal design. As an expert in teaching, learning, curriculum, instructional techniques, ADA accommodations, and with an advanced graduate education in counseling, we are perfectly suited to assisting with implementing universal design practices in your studio, classes, corporation, organization, and educational courses. If you have a disability or other physical limitations that may prevent you from participating in a traditional yoga class, we can work with you! The U can Do Yoga™ program makes extensive use of props, assists and modifications to increase the mind-body connection, relieve tension from tight muscles and tap into your proprioception (awareness of where your body is in space). When your body is able to relax, so will you. U can Do Yoga™ is much more than stretching or an exercise program. We teach physical postures (asanas), yes, but we also teach meditation, self-awareness, self-acceptance, and mindfulness. We truly want yoga to be accessible to everyone. U can Do Yoga™ classes are available as private and semi-private classes on a sliding scale which means you pay what you can afford to pay. YogAbility is taught in groups of no more than four experienced students or two beginner students. Semi-private classes can be a mix of students with and without disabilities but must have a majority students with disabilities. We have worked with students with Cerebral Palsy, Blindness, ADHD/ADD, Diabetic Neuropathy, Rheumatoid Arthritis, Deafness, Specific Learning Disability and Autism Spectrum Disorders. If you think you may qualify for our U can Do Yoga™ program, please contact us to talk about your specific needs. We work with organizations that have specific needs for using yoga in therapeutic settings. We partner with counseling practices and non-profit organizations to join proven techniques with yoga to address mental health challenges, such as PTSD, childhood trauma, depression, anxiety, brain trauma, and more. Please check with us about partnering with your organization by contacting us. Sweet Peace Yoga, Kirkwood Start your week off with an asana (posture) practice designed to wake you body, mind and soul. Familiarity with basic yoga postures and breathing techniques is recommended prior to attending this class. Modifications will be offered throughout the practice and the use of props is highly encouraged. Sweet Peace Yoga, Kirkwood Whether you just finished an introductory yoga class, have been practicing with a DVD/online class or just want to take your practice to the next level, this class will help you advance on your yoga journey. The class runs as a 6-week series with a drop-in option. We will visit "all the basics" of yoga. Each class will visit asana (poses), pranayama (breathing), and an aspect of yoga philosophy. Handouts to aid in building a home practice will be provided for series participents. North County FitAbilities: a Trauma-Informed yoga program for kids and teens with visual impairments. The program focuses on self-acceptance, personal choice, personal responsibility, self expression, safe spaces, trust, and physical activities that develop skills needed for independent travel. Sweet Peace Yoga, Kirkwood Did you know that slowing down your asana practice can actually make it harder? It takes more effort (and burns more callories!) to sustain a pose than it does to flow quickly between poses. Add in hand weights, and you have a recipe for a yoga class that will help you build longer, leaner, stronger muscles. A slower physical practice leads to the dedication of time to the mental/emotional practice of yoga while conscious cuing helps you be mindful and stay 'in the moment'. Paraquad: A universally Designed class accessible to staff of the organization with and without disabilities. A more on-the-spot designed class targeting the specific needs of attendees. Class cards are available for this class. Visit UDyoga on Facebook for my subbing schedule at St. Louis area studios. Contact me to inquire about scheduling accessible or traditional yoga classes, presentations, workshops, and special series. Submit your request for a private yoga session, corporate sessions or workshops, or a customized class or workshop for your organization. We work with many corporations and organizations to create custom yoga sessions tailored to your specific needs while promoting accessibility, wellness, and mindfulness grounded in yoga. Email natasha@udforyoga.com, or call 314-591-4032 for further information. Select your preferred location for the class. Describe the accessibility needs of your space or the space you need. Thank you for contacting UDforYoga! We are excited you found us and look forward to working with you to meet your yoga interests - whether they are a corporate class, custom accessible yoga, school programs, or consultation. We'll contact you within 48-hours regarding your request. Please continue to browse the UDforYoga website to learn more about our unique programs for accessible and universally designed yoga teaching. Bring the Kids to Namaste on Saturday mornings for a 45 minute kids yoga class full of games, songs, fun and relaxation!